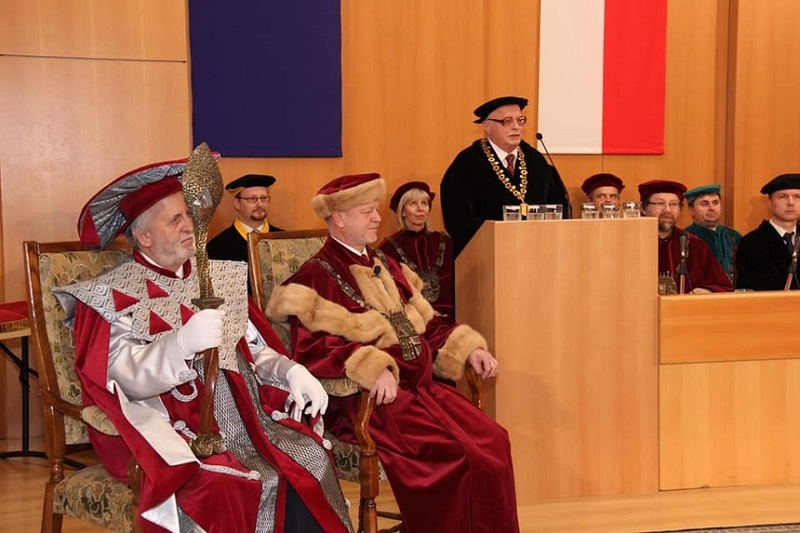 It is a great pleasure to inform you that prof. Marek Liška, DSc was awarded the honourable scientific title doctor honoris causa by the Scientific Council of University of Pardubice (Czech Republic) at the ceremonial meeting held on Friday, January 18th, 2019. The honorary degree of Doctor Honoris Causa abbreviated as Dr.h.c. is usually awarded to significant and reputable personalities of the scientific/scholarly or public life, whose merits of progress in science, education, culture, and arts enjoy international significance and renown. 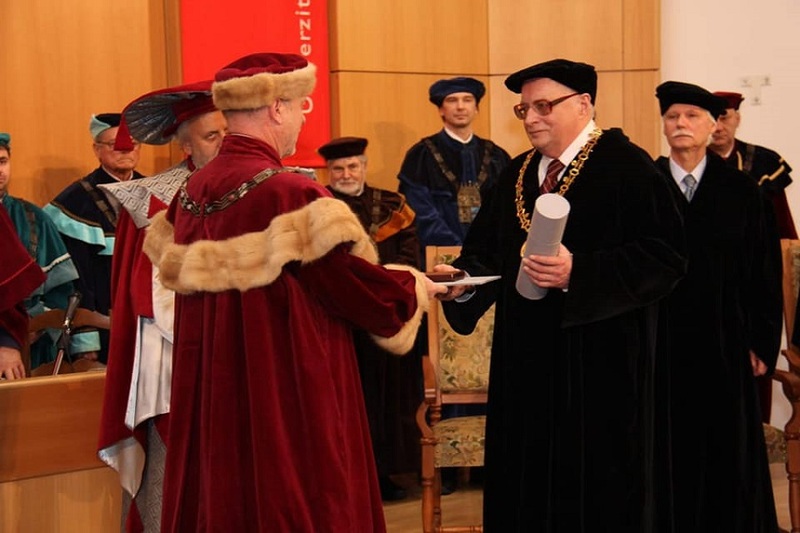 Professor M. Liška was awarded this honorary title for his extraordinary merits in science and research development in the field of glass structure and properties. Professor M. Liška has been intensively cooperating with the Faculty of Chemical Technology and its Department of Physical Chemistry in both research and pedagogical fields. He is a regular member of the defense, diploma, doctoral and habilitation commissions, and also works on appointment procedures for professorship. Prof. Ing. Marek Liška, DrSc. deals with physical chemistry, chemical physics and is an expert on the structure and properties of glass and glass-forming melts. He is the author of 230 original works in renowned professional journals, 7 monographs, 307 conference papers at foreign and domestic conferences, as well as the author of 2 patents. His scientific work is documented by 429 citations. Please, join us in congratulating Professor Liška on his success!